LSC is proud to announce that we can now provide educational toys and low-level makerspace equipment to Canadian libraries. Libraries are changing. Gone are the days when a library was simply an information collection point. Now, libraries are community hubs. A common place for all members of the community to come together, to access unique and imagination-spurring resources. And with experiential learning so important to children’s development, the addition of educational toys and makerspace equipment to library collections is a logical yet bold step that many libraries are taking. LSC is a co-op, and we serve the needs of our clients. So when a client came to us needing help, we listened. They wanted toys that fulfilled certain aged-based skills and educational outcomes. They also needed help cataloguing and processing these unusual items. This is the sort of challenge to which LSC is uniquely suited to provide assistance. Our Selection team immediately set about sourcing educational toys and low-level makerspace equipment. Our cataloguing department put their expertise to work in creating MARC records that will be of value to patrons. And our processing department scoured our suppliers, finding just the right containers to house the toys. Like all LSC products, libraries have a choice to receive the items direct, or have them catalogued and/or processed by us. For processed items, you can chose between a transparent tote making for easy stacking on shelves, or a transparent backpack that can be hung (and kids love to sling over their shoulder). If a library wishes to provide LSC with branded bags or containers of their own, we will process the material in these containers. All processed material is photographed to show all components. 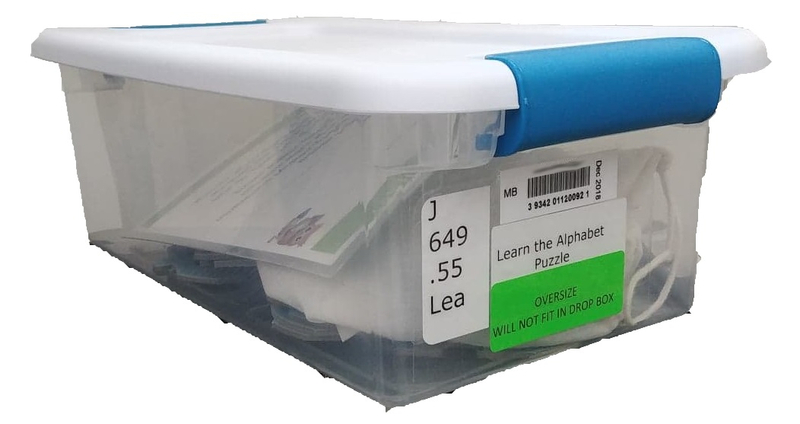 The totes can come with a component and skill level checklist inside the container, so patrons and library staff alike can easily check to make sure everything where it should be. 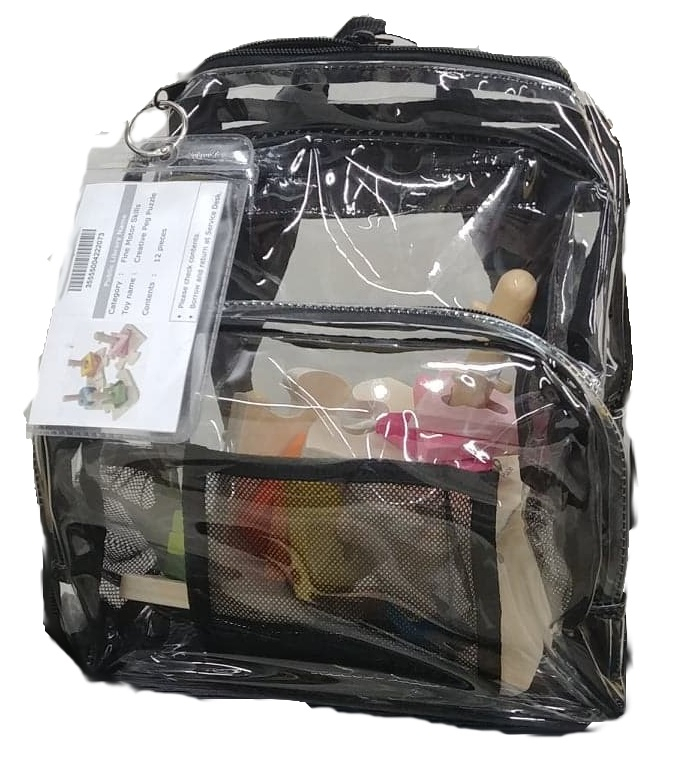 For the bags, we have developed a luggage tag that attaches to the bag, featuring the item picture, list of components, and the item barcode. The toys and makerspace equipment available to us is growing, and our Selectors are ready to source new materials at the request of a library. ARPs, based on skill level or material types, can be set-up so that your experiential learning areas are constantly refreshed with new items that we have the expertise to pick and provide. As we develop this service, we will create regular Slists referring to new items that we have added to the catalogue. Currently, if you wish to purchase toys and makerspace equipment from us, please contact Sara Pooley directly. For the time being, please refer to our 2018 Selections for the types and skills available. The 2018 SList is available here. For more information, please contact Sara Pooley or your Customer Service Representative.